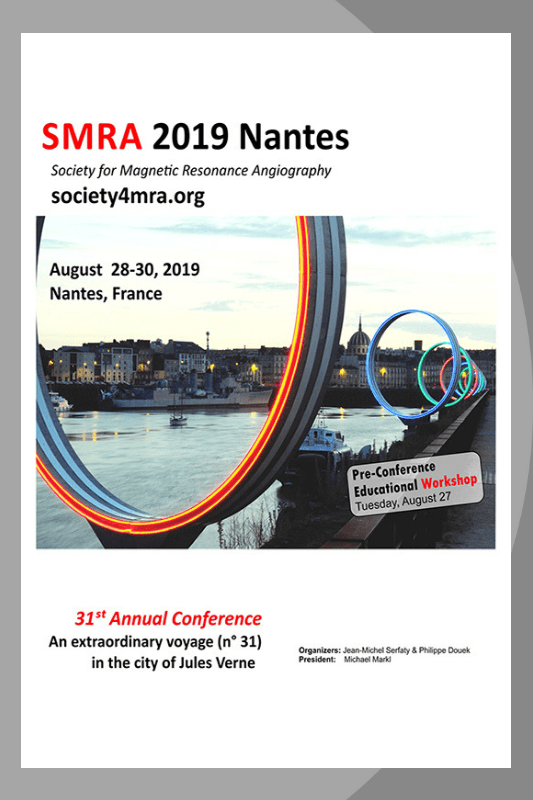 Society for Magnetic Resonance Angiography (SMRA) 31st Annual International Conference The International SMRA Workshop, founded in 1989, is the preeminent annual conference for MR vascular research and clinical applications. Distinguished MRA researchers and clinicians from all over the world attend this annual event to present their most current research results and exchange scientific knowledge. Also, at this workshop, commercial MR product vendors showcase their state-of-the-art products, technical advances, and clinical applications directly to preeminent clinicians and scientists in the field of MRA An Extraordinary Voyage (No 31) in the City of Jules Verne August 28-30, 2018 Organizers : Jean-Michel Serfaty & Philippe Douek President : Michael Markl .